Throughout the programme, students solve real-world problems, while enriching their knowledge of their communities and regions. Through accessing national and local collections, learners can co-create and curate their own learning using digital technologies. The solutions developed will be shared using a range of digital media. No single programme will be identical. Each class will have a bespoke programme plan designed for their learners. This ensures the needs of the learners are met, and provides support to each learner as they develop digital fluency skills in a cross-curricula approach. This includes building students' understandings of computational thinking, digital citizenship, and literacy. Concurrently, we will work with teachers to build their confidence in working with digital technologies, and we welcome whānau, family, and community involvement. A key aspect of our approach is that the museum will share stories captured by programme participants with the public by digital and/or physical display (with agreement from the participants and kāhui ako). 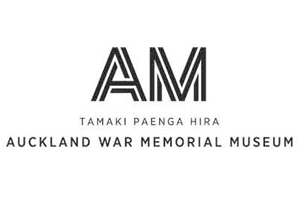 Te Papa has partnered with Te Kōngahu Museum of Waitangi, Tamaki Paenga Hira Auckland War Memorial Museum, and MTG Museum in the Hawkes Bay to deliver this programme in the Auckland, Northland, Hawke’s Bay and Wellington regions. The programme will be designed and delivered by learning innovation specialists across the four sites. The three modes of delivery include face-to-face in museum, face-to-face in school, and online. One-day planning at the museum with kaiako to ensure the programme complements the class curriculum. TRD costs covered for this day. Two-day class visit to the museum where students have the opportunity to engage with digital technologies, museum collections, exhibitions and specialist staff. Two school-based visits from our facilitation team to continue to support students’ learning. Online support via phone and email, one online virtual visit. Planning at the museum with kaiako to ensure the programme complements the class curriculum. One-day class visit to the museum where students have the opportunity to engage with digital technologies, museum collections, and exhibitions and specialist staff. Online support via email and one online virtual visit. all kura within a 120km radius of any of the following museums: Te Papa Tongarewa, Te Kōngahu Museum of Waitangi, Tamaki Paenga Hira Auckland War Memorial Museum, and MTG Museum. 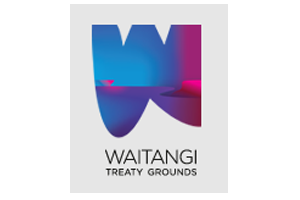 The Raranga Matihiko programme is led by Te Papa as part of the Ministry of Education’s Digital Technologies for All Equity Fund. The Equity Fund supports the introduction of new digital technologies learning for all schools and kura across New Zealand.